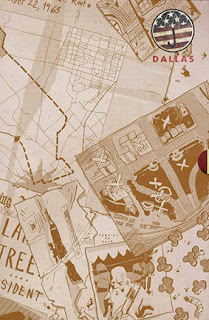 • PLOT SUMMARY: Volume 2 - "Dallas!" Collects Umbrella Academy: Dallas (2008) #1-6. Times are tough for this dysfunctional family of superheroes. Following the near apocalypse created by one of their own and the death of their beloved mentor, Pogo, the team is despondent. So it's a great time for another catastrophic event to rouse them into action. Trouble is, each member of the team is distracted by some very real problems of their own. The White Violin is bedridden due to an unfortunate blow to the head. The Rumor has lost her voice-the source of her power. Spaceboy has eaten himself into a near-catatonic state, and while Number Five dives into some shady dealings at the dog track, The Kraken starts looking at his littlest brother as the key to unraveling a mysterious series of massacres. This oversized, limited-edition hardcover features an expanded sketchbook with concept art from series creator Gerard Way and series artist Gabriel Bá (Pixu, De:TALES, Casanova). The Umbrella Academy: Dallas is the second chapter in the lives of the Umbrella Academy, and an epic story that will transform history without changing anything at all. Hardcover, 232 pages, full color.